Safeguarding data through proper IT security measures is a must for businesses that send and receive data via IP networks. They have systems in place for ensuring that their information remains secure. The problem is these security strategies are usually focused only at the headquarters or corporate level, even if the company has multiple branch offices or remote offices. IT security for these branch offices, however, must also be managed differently and could be challenging if approached improperly. That said, below are some common challenges and what you can do about them to effectively manage and safeguard your IT in branch offices. Branch offices are smaller, so they usually don’t have a dedicated IT staff to support them when something goes wrong. This means that your IT team should be able to give security and support while keeping in mind the demands needed for managing other branches. It’s your job to ensure that your IT team works as efficiently as possible, with costs and productivity planned out to a tee. Generally speaking, your branch offices should have the same functionality and security strategies as your headquarters, but on a smaller scale. At the least, these should have IT network support, IPS, VPN, firewall, e-mail, and web protection. When opening a branch office, you should aim to manage and control updates on their security system centrally. The usual approach to this is to send your IT team to ensure that the branch office’s systems are running properly. This can be costly, however, not just in terms of money, but time as well. A better approach is to use preconfigured systems. With these, your IT team can easily manage most preconfigured system procedures in your headquarters. Your priority is to establish Internet use policies since bandwidth at branch offices might not be that strong. Policies concerning Internet use that’s not related to work must be stringent to make certain that the bandwidth in specific branch offices is used solely for business purposes. This will help your IT team support branch offices more efficiently. How your employees use the network would also determine whether they’re increasing or decreasing their risk of data breaches. With these in mind, ensure that your employees know responsible use of storage solutions and social media. If you allow employees to bring their own electronic devices at work, you have to make sure that they know what they can and can’t do while using your IT network. 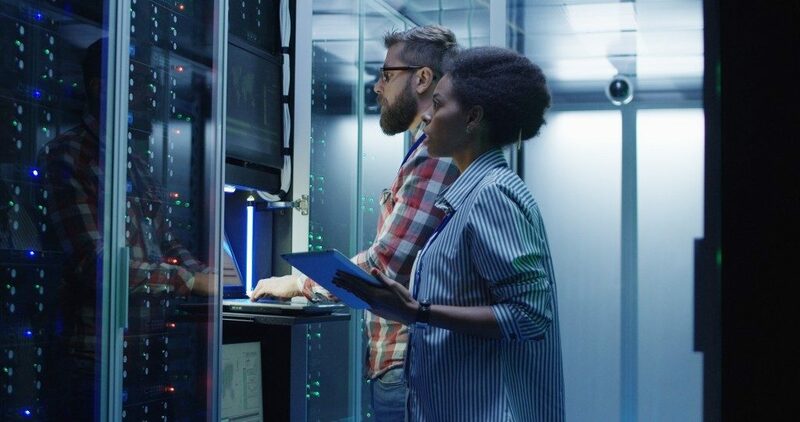 Maintaining and managing data and distributed applications so that access, productivity, protection, and optimum performance are assured at all levels are among the greatest IT challenges that companies face. By considering proper security strategies and employing the ones that suit your needs best, you can increase employee productivity — not only at the corporate level, but all your other branch offices as well. This will also ensure that you effectively protect all your branch offices in the most cost-effective way possible.